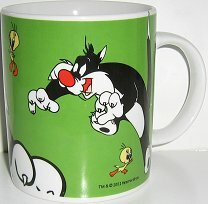 Here is our good friend Sylvester chasing Tweety. 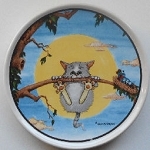 This cat mug is 3 3/4" high x 3 1/8" in diameter, not including the handle. Dishwasher and microwave safe. Previously owned but in good condition.